Creating a new extracurricular course "Entrepreneurial Challenge" for students of Universiteit Twente aiming for a MOOC. 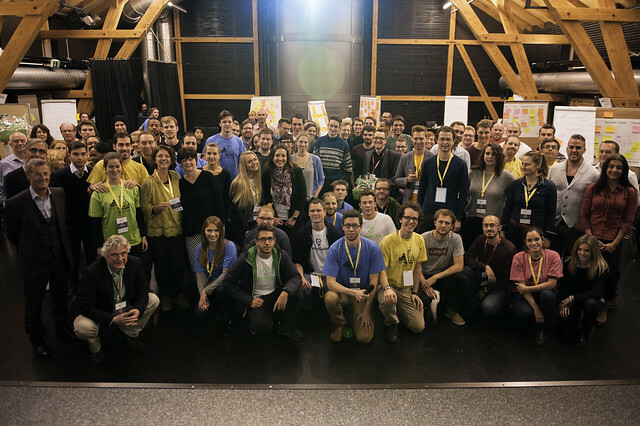 Initiator of START Call 2016: Berlin’s largest student-run entrepreneurship summit. Lean Startup Summit brings the big ideas from Eric Ries’s books off the page to show how organizations are making them real around the world. Alongside keynotes and case studies, we offer workshops and mentoring sessions where you can have more immersive experiences, breaking off a chunk of the practice and working through it with our seasoned experts. The learnings you come away with happen on all levels, from the inspirational to the personal. Lean Startup Summit attracts a diverse audience from countries across Europe and beyond.Become a part of our wider European innovation community by joining us in Berlin this February. 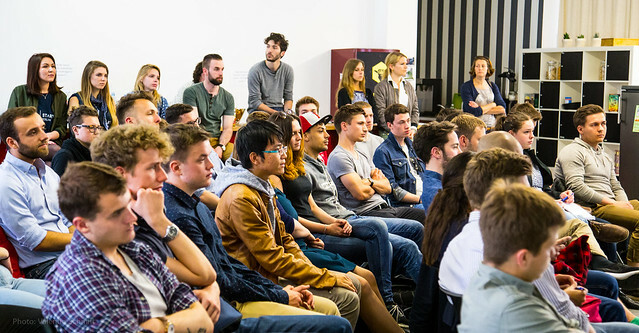 Organizing Official Lean Startup Nights, Workshops and the official Lean Startup Berlin Meetups. Creating new innovative products and services with real customer value will shape the world of tomorrow. The rules for success have changed. In a global and rapidly changing world, characterized by an uncertain and risky environment, new strategies need to be defined. The traditional planner mindset gives way to the targeted validation of critical assumptions, systematic testing with prototypes and iteration based on customer feedback. Whoever learns faster what really creates added value for the customer will win the race and operate sustainably. Startup Class is an intensive hands-on, project-based summer school in which you will design and test prototypes and develop new business models that address real-world needs. My experience at Startup Class proved to me my ability to become an entrepreneur. Startup Class opened up a whole new world of possibilities to me. Startup Class was an immersion into the skin of an entrepreneur. Mind blowing! Creating social impact with designthinking and leanstartup methods! Coaching in hands-on design thinking & lean startup workshops the current circular economy badge of the Impact Hub Geneva & Lausanne. Organization of the Lean Innovation Night, an inspiring event gathering the community in the Impact Hub Geneva to discuss on how to innovate for radically greater social good. Was happy to host a great speech by Ann Mei Chang author of the Lean Impact book, share some Lean Startup Basics with the Worldreader case and to moderate our panel with great insights by local social entrepreneurs Zak Kaufman Co-Founder Vera Solutions, Jonathan Moy de Vitry from Right Here / Right Now Productions and Felix Stähli Co-Founder of the Impact Hub Geneva and Impact Hub Lausanne.